BURBANK, Wash. -- Crews are installing new state-of-the-art turbines at the Ice Harbor Lock and Dam on the Snake River in southeast Washington. Bonneville Power Administration says the new turbines are expected be more efficient as well as improve conditions for fish that pass through the turbine area of the dam. BPA, the federal agency that markets power from federal dams in the Pacific Northwest, is paying for the $58 million project to replace runners on two turbines. Runners are the parts that rotate in water to generate power. 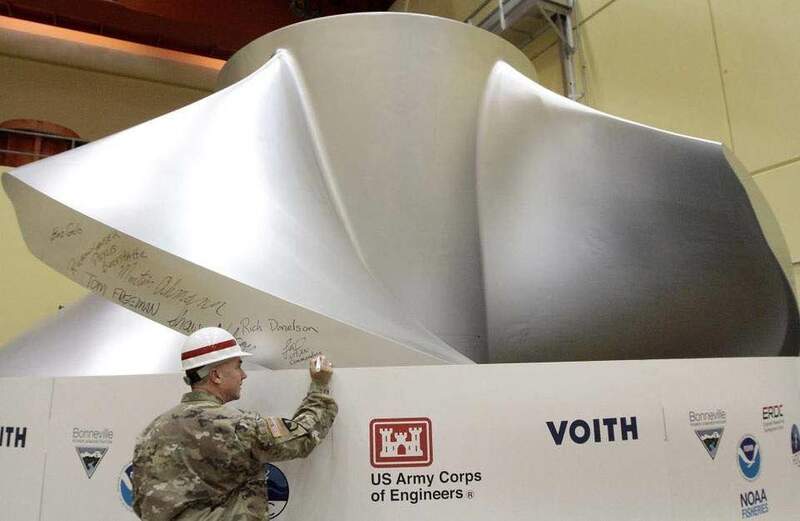 Several agencies collaborated on the design and installation of the turbine, including BPA, Army Corps of Engineers, NOAA Fisheries and the contractor. The first turbine is scheduled to be up and running with 12 to 14 months.